Malawi was the 1st country in Africa to grow tea on a commercial scale- which began as an alternative crop to coffee. The majority of the tea grown in Malawi today is exported to the UK & South Africa. Isolated in geographical and market terms, landlocked and far from the nearest port Malawi has had no choice but to innovate and in recent years tea producers are putting more efforts into producing speciality teas. 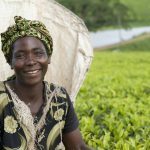 Malawi’s tea industry is also one of the largest employers of women, with over 51% of the workforce female.The Warm Hearts Coffee Club has chosen to work with the most innovative tea producer- Satemwa Estate to provide our membership with quality speciality teas! Satemwa is a family-owned estate in Malawi established in 1923. Satemwa has been making unique artisanal teas while also prioritising the standard of living for their employees and their families. Satemwa is also Fair Trade, UTZ & Rain Forest Alliance Certified.